Why Does Old Aspirin Smell Like Vinegar? Aspirin is one of the most common medicines we use to combat headaches and muscle pain. It is also taken when we have fever to lower our body temperature. Aside from that, aspirin is also prescribed by doctors for heart patients because it helps prevent blood clots, and it is being used not only to treat humans, but also help dogs cope with arthritis and pain. Just like any other medicine, this drug has several undesirable side effects. When people take it in higher doses, there is a possibility for them to develop tinnitus (unstoppable ringing in the ears), stomach bleeding, and gastrointestinal ulcers. Aside from that, aspirin must never be used to treat viral illnesses, such as chickenpox and flu-like symptoms, because it can somehow lead to the development of a fatal disease called Reye’s Syndrome. 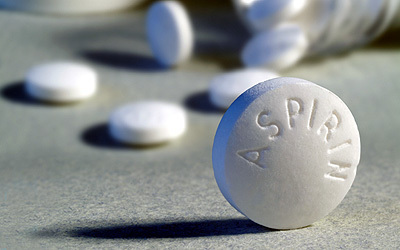 In spite of the possible side effects, however, aspirin use is still very prevalent today. Annually, people consume approximately about 40,000 metric tons of aspirin worldwide. Almost every home has an aspirin bottle in the medicine cabinet. In fact, aspirin is part of a first aid kit. But, like any other drug, aspirin also has an expiration date. When it gets old, it becomes ineffective as a drug, and harmful to the body. It is also known to have that vinegary smell when expired, and will surely taste like vinegar, too. So why does aspirin smell like vinegar? The answer lies in aspirin’s chemical composition. Aspirin is a chemical compound made up mainly of salicylic acid and acetic acid. These two chemical compounds are mixed together with several hydrogen catalysts to form the drug we use today. When aspirin gets old, it slowly reacts with the absorbed moisture from the air. The aspirin loses its strength when hydrogen atoms are lost, and then it partially reverts back to its original salicylic acid and acetic acid composition. The acetic acid in aspirin is the same major chemical component found in vinegar. This is the reason why aspirin smells like vinegar when expired. This negative reaction to moisture is the main reason why medicine bottles needed to be sealed and kept in a dry cool place. Inside the bottle there is a small sachet of silicone gel to absorb any moisture left inside. Most modern-day aspirin tablets, however, are coated with a substance that keeps moisture away from the active ingredient. As a result, they last a long time. Just remember to always replace the cap on the bottle — and keep all medications away from children. Why Does my left Lower Abdomen Hurt? Why Does my Child Have White Spots on her Face? Why Does Coffee Effect the Growth of Plants? Why Does my Ovary Hurt? Why Does Santa Wear Red?